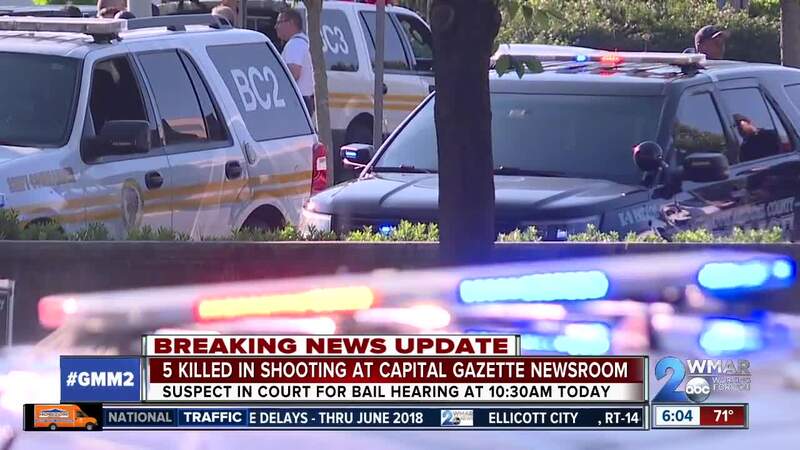 ABC News has learned the identity of the shooter who killed five people and injured two others at the Capital Gazette's office in Annapolis. 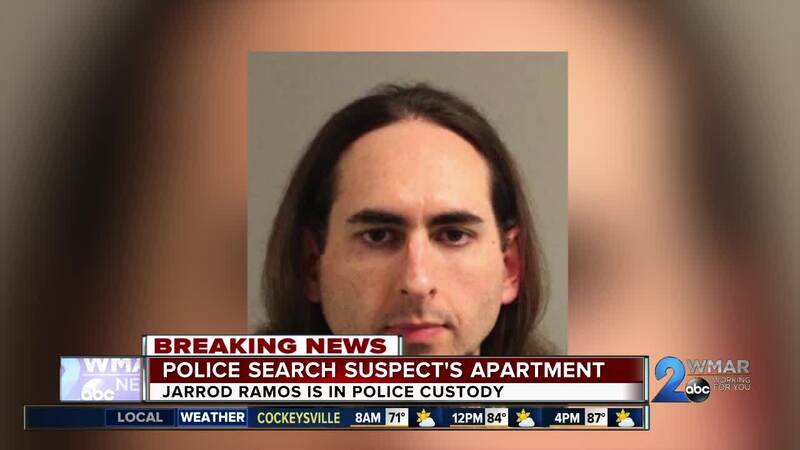 The 38-year-old killer is Jarrod W. Ramos, of the 400 block of S Armstrong Court in Laurel, ABC News reports. Police said he entered the newspaper's offices in a "targeted attack," in which he used a long gun, reported to be a shotgun. According to charging documents, the shooter used the long gun to shoot out the businesses doors and enter the building. He then shot people he encountered before attempting to hide under a desk. Police were then able to find and arrest him. Police also investigated devices thought to be explosives that turned out to be smoke grenades, Anne Arundel County Deputy Chief William Krampf said in a press conference. A Maryland Case Search by WMAR-2 News' Eddie Kadhim revealed Ramos had a contentious and litigious history with the paper. Records show a 2012 lawsuit where Ramos sued the newspaper for defamation but ended up losing that lawsuit. Additional court documents also show a judge ordered a restraining order on Ramos in a separate 2014 case. "He has 10 cases listed from 2011 to 2014 on Maryland case search," Kadhim tweeted. Police say that threats were made to the Capital Gazette via social media, but it's not clear when they started, or if they targeted specific people or the paper itself. Police spent Thursday evening searching Ramos' apartment in Laurel, looking for more clues as his motives remain unclear. "This person was prepared to come in, this person was prepared to shoot people his intent was to cause harm," said acting Anne Arundel County Acting Chief William Krampf. Ramos is scheduled to appear in court Friday morning where he is facing five counts of first-degree murder. His bail hearing is set for 10:30 a.m.
As of Friday morning, Anne Arundel County Police say they are still looking over evidence statements and surveillance videos, and they hope to have more information for us later in the day. They are not releasing any more details about the suspect for “investigative reasons”. “We are still going through the healing process. This is a local paper that we grew up with… It’s a fixture in homes in Anne Arundel County,” said Anne Arundel County Police Public Information Officer Ryan Frasure.